The system conversion is a popular transition path to convert your existing ERP system to SAP S/4HANA. itelligence has already supported many system conversion projects since SAP announced the end of SAP ECC maintenance by 2025. If you currently have an ERP 6.0, EHPxx, Any DB or SAP HANA DB in place, it is the natural move forward to migrate your system to SAP S/4HANA (onPrem). Our solution is deployed with the use of pre-configuration, accelerators, methodologies, and tailored partner services to help customers run simple and realise a rapid time-to-value with reduced risk and a predictable outcome. 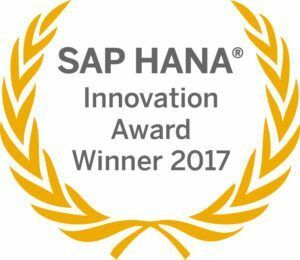 Based on our extensive S/4HANA experience, we developed a solution which enables customers to convert their system in the most efficient and modern way. it.S/4HANA conversionR2R makes it possible to take an exact 1:1 move from hosted or onPremise SAP ERP systems to SAP S/4HANA. Our SAP qualified approach to SAP S/4HANA system conversion is a popular transition path to convert your existing ERP system to SAP S/4HANA. Download this paper to learn more about Smart System Conversion, which will facilitate your journey to the next-generation business suite. Would you like to learn more about our packaged S/4HANA Conversion solution and our Conversion Factory? Please get in touch to discover more.